Murphy, our Newfoundland, is truly the most beautiful dog I have ever seen, but she is also the dirtiest. If you have a Newf, you know that they are pretty much dirt and water sponges. Most dogs bring in some mud when the snow starts to melt, but Murphy takes it to an entirely new level. 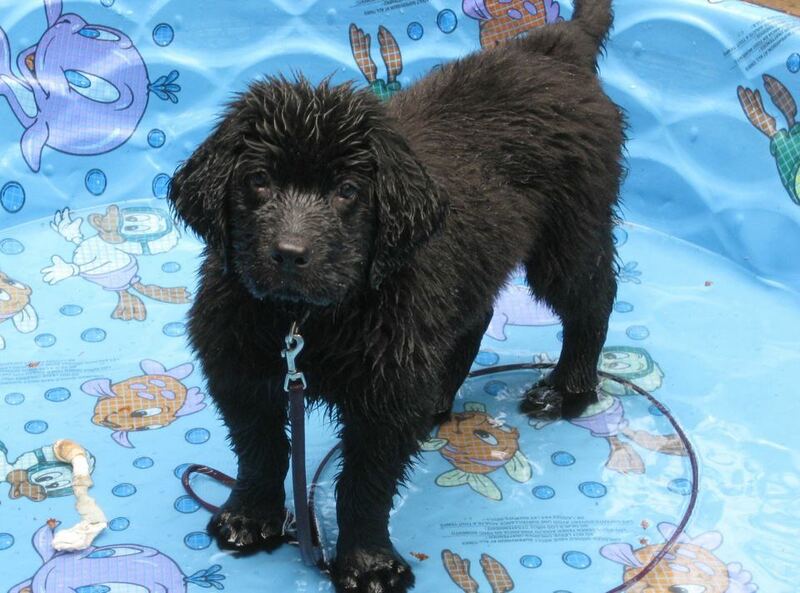 Baby Murphy in her pool last summer. 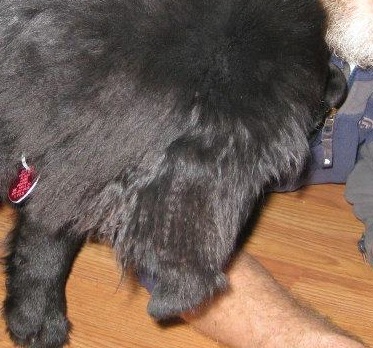 Newfies have what we call “feathers” on the back of their legs. We may as well call them mops, because they collect every bit of moisture with which they come into contact–and hold it. Murphy usually thinks this is a good time to try to sit on the couch or on your lap. One cute thing–whenever Murph gets wet, her hair kinks up as if she had been left in a room with my old high school crimping iron. Can you see the crimps in her ear fur? 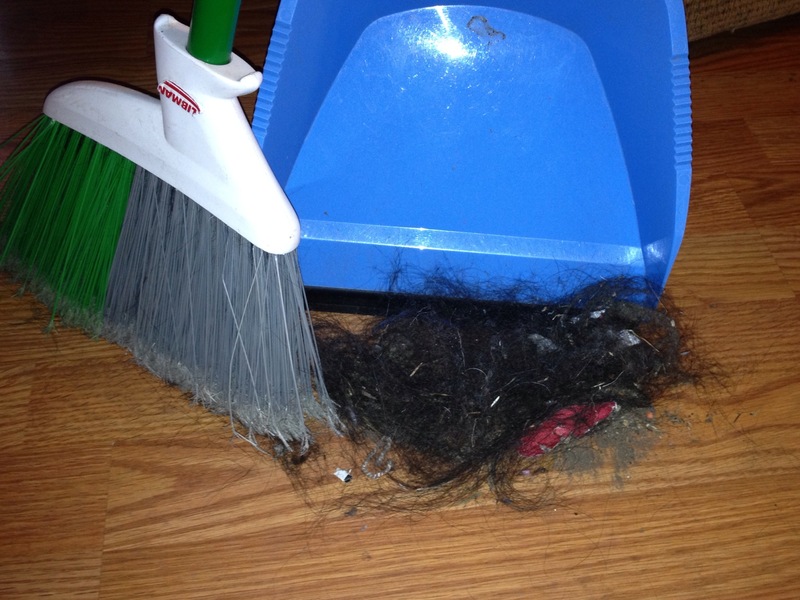 Now, I understand that most dogs shed. I am perfectly used to puffs of dog fur dancing around the floor each time the heat turns on. What Murphy brings to the game is dirt. When she gets up from the floor, left behind is a giant dog shaped dirt shadow. On our walk today. Murphy found one of the last remaining patches of snow and rolled all around in it, as she is wont to do. 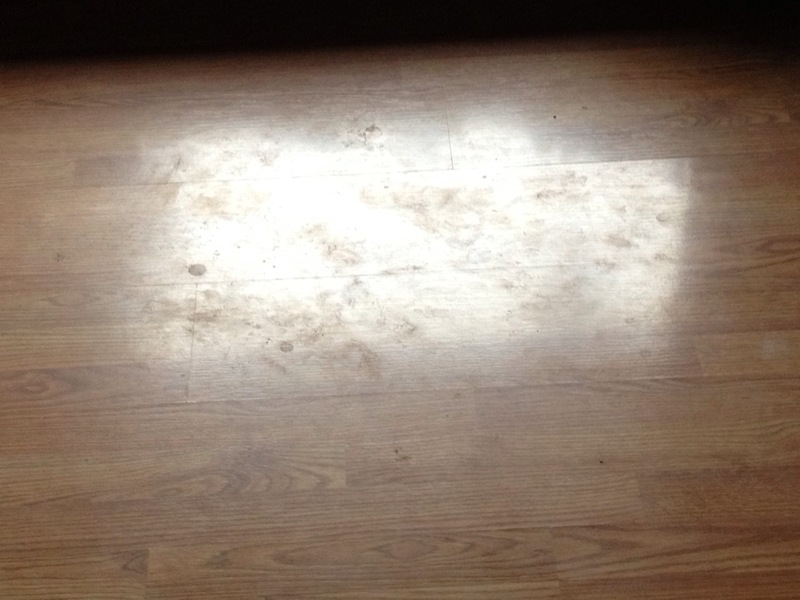 It reminded me of a chinchilla taking a dust bath–when she arose (or was tugged back into the street for our walk), the clean white snow had a lovely, brownish doggie-shaped outline. Yes, Murph–please wait until you are inside to shake! Love you! Bits of dog biscuits stuck in her jowls are released onto her “napkin”, otherwise known as the rug in front of the hearth. She is fond of putting her chin on your sleeve–and when she leaves, a nice slimy trail of dog slobber undoubtedly remains. Don’t bother wearing nice clothes to my house…Newfs also like to present their paws to everyone, and dainty, she is not. She loves to get into the bathtub after the boys shower–and up on the sink to drink whatever is left in the sink. It is never a secret when she does this as big muddy paw prints appear wherever she has been. We try to dry off her feet before she gets too fair into the house or out of the tub, but tug-a-towel is one of her favorite games, which makes things a bit difficult. There are myriad great reasons to bring a Newfoundland into your family. 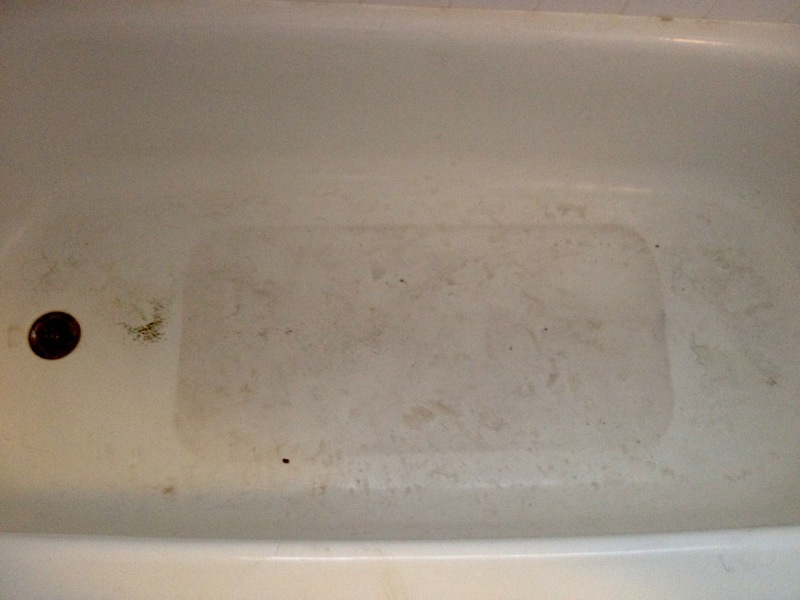 However, if cleanliness is your thing, you may want to think again. Murphy is our favorite great big, dirty, slobbery mess. We love her to pieces! 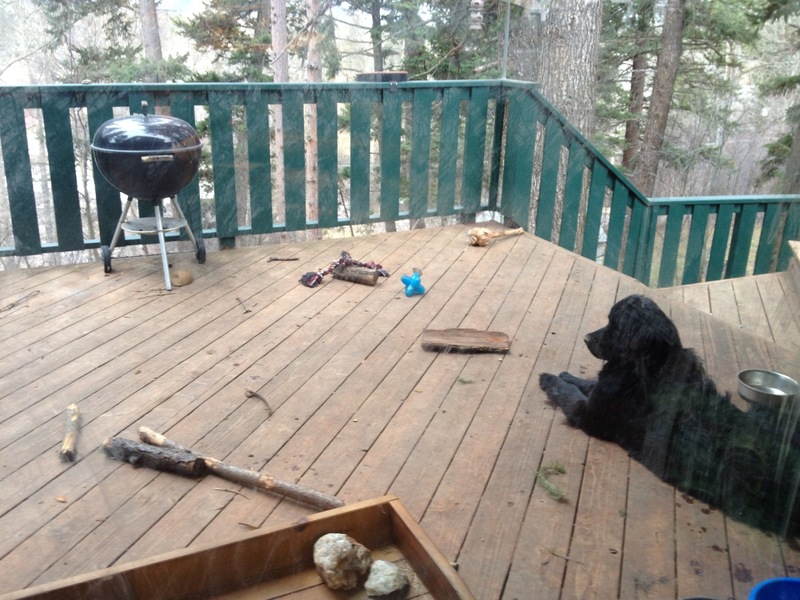 Murphy surveying her domain–surprisingly, “her” deck is rather tidy, comparatively speaking. The window I am taking the picture through, however, is not. Newf finger painting! 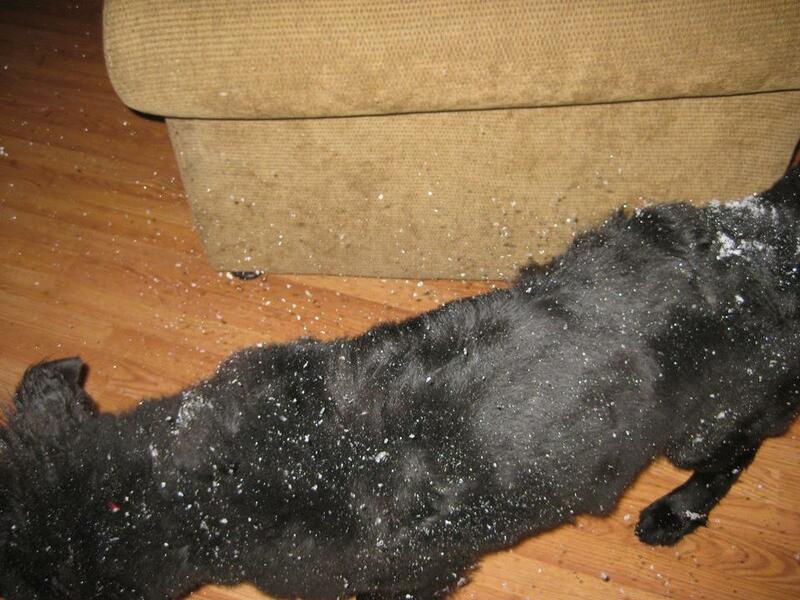 This entry was posted in The Newfoundland and tagged Dirt, dog, Murphy, Newfie, Newfies, Newfoundland, Pets, snow. Bookmark the permalink.